The small towns around Quetzaltenango host some of the country's best churches, and on this tour you'll visit four of them. You'll see the famous church in San Andrés Xecul, which is painted in bright yellows, reds, and greens. It's one of Guatemala's most photographed and colorful churches. In Totonicapán there are two churches, one of which has a statue of the indigenous leader Atanasio Tzul, who led a peasant rebellion in 1820. 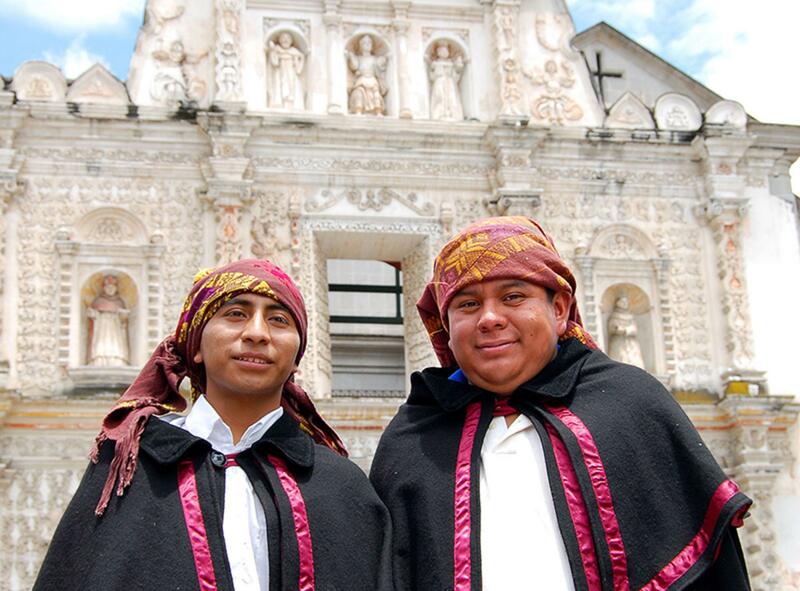 The tour also stops in San Cristobal and Salcajá, the latter of which features Central America's first Christian church. The church in Salcajá dates back to 1524. During this tour you'll also visit local families to learn how textiles and the famous local drink, Caldo de Frutas, are produced. Camera, comfortable shoes, sunglasses, and money for food, drinks, and other personal expenses. Transportation, guide, and entrance fees.